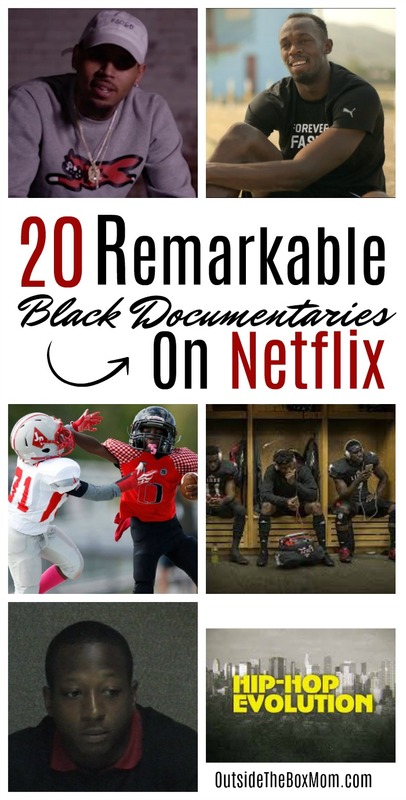 These Black documentaries on Netflix are a few of the black movies on Netflix that feature historical documentaries of the lives of Black and African-American people in recent history. What are Black documentaries? They can open windows to our past. Through the lens of talented filmmakers, we can re-live iconic moments in history. Documentaries offer rich insight into our society and culture, connect us to some of our proudest and most shameful moments in American history, and remind us of how far we’ve come. What follows is a list of powerful documentaries exploring Black history and culture in America. These are great selections to add to your black movies on Netflix list. What better way to celebrate the weekend than by binge-watching Netflix? All the black documentaries on Netflix listed are current, but that is subject to change without notice. Which of these is your favorite of the black documentaries on Netflix in 2018? You’ll want to see these Black documentaries from 2018, too. Do you have any favorite Black documentaries on Netflix?